Nature is wonderfully diverse. Every tree presents us with a variety of different colours and structures, which vary depending upon how we cut the material. Our experience has enabled us to develop a unique system for inspecting and grading the sawn wood according to its structure and appearance. 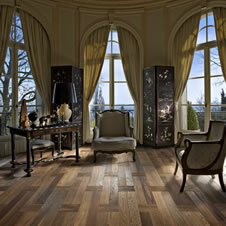 This allows us to manufacture and offer floors with different looks, expressions and styles. Kährs Original is renowned worldwide for its high quality and versatility. The floors can be used in many different types of premises - both domestic and commercial areas. The construction allows the floor to be resanded at least twice during its lifetime. Kährs Spirit offers beautiful 1-strip designs in a variety of colors and species. 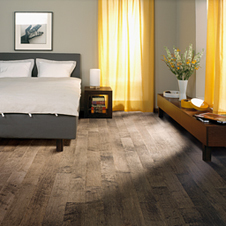 These attractive 1-strip floors have a finish that keeps its brilliance, beauty and durability for many years, reflecting the true spirit of Kährs. 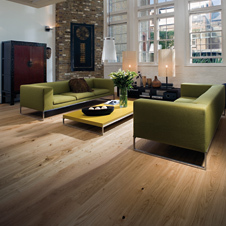 Kährs Supreme, a range of floors including two striking and unique floor collections, all with a great variation of looks and styles. Kährs Linnea is one of the hardest floors in the Kährs range, designed primarily for use in housing. 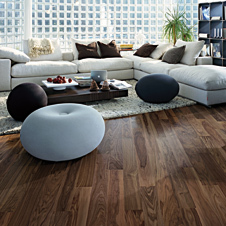 The floors combine an attractive appearance, simple installation and low installation height. Note that the floors are not resandable.